An impassioned indictment of the current system of rail safety in the United States. In this debut, Swimmer addresses the problem of fatal railway accidents, particularly those that occur at grade crossings where drivers and pedestrians share space with trains. He provides a detailed analysis of several collisions from the past two decades, along with their resulting investigations and policy effects. He draws on media coverage, interviews with transportation officials, and reports by state and federal agencies that regulate train travel. The book reveals a complex, consistent pattern of problems, including malfunctioning signals, a lack of clear authority (“you can’t run a train across Chicago without at least four different sets of rules, signals, or safety systems”), and work schedules that maximize train-operator fatigue and inattention. Although pedestrians, drivers, train operators, railway management, and government regulators all come in for criticism, the book saves its harshest judgments for the last two groups; the government, Swimmer says, prefers recommendations to mandates, and railroads require repeated lobbying before making changes as minor as instructing engineers to turn on all their headlights. 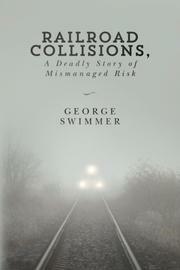 Many collisions in this book took place near Swimmer’s home in the Chicago suburbs, a region with a disproportionate number of railroad fatalities. He draws clear portraits of the accident victims, often through interviews with surviving relatives, and makes their personalities integral to the stories. The prose is often unpolished (including frequent use of the phrase “a accident”), and it tends to repeat information unnecessarily, such as the fact that railroad rest facilities aren’t intended to be places to sleep. However, Swimmer’s evident passion for and knowledge about the subject shine through, and he does an excellent job of making accident reports and unfamiliar geography understandable for railway novices. A thoroughly researched, often clearly explained story of transportation disasters and what can be done to prevent them.